Vertical Farming -Can this be a solution to food shortage? The world of agriculture is experiencing a lot of problems like drought, famine, land shortage and more natural disasters you can think of. Many scientists suggest that vertical farms could be a great help with these problems. So what is a vertical farm? It is a farm inside a sky scraper or tower. 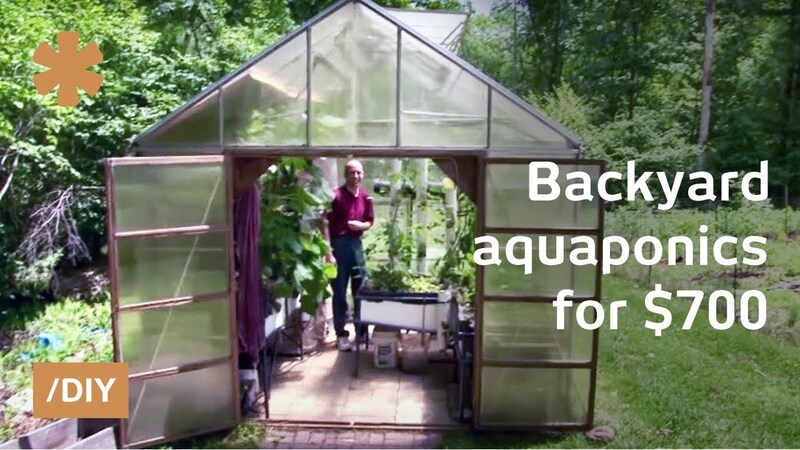 Some existing technologies that would work for this system are aquaphonics, hydroponics and container gardening. Some produce that can be grown inside a vertical farm are Lettuce, cabbage, tomatoes. Celery, sprouts, mushrooms, potatoes, sweet potatoes and ,many more. I found a video that explains a lot about this possible farming of the future. This is probably the future of farming, although I don't know how well these vertical farms yield compared to conventional farms. This could help combat land shortage and famine a lot and stop the relentless destruction of rain forests. Together with development of greener technology this could solve quite a few environmental issues. Sadly nothing will be enough if we can't control overpopulation though. I think this is going to work for vegetables but I am not sure if its going to work for crops like Rice, Corn, and fruits from large trees. I think any plant that can grow on pots would benefit from this one. I think vertical farming might have a better protection from pests because the vegetables are indoors so they can be protected from bugs, I heard there is a sound wave device that can scare bugs away. Here in Metro Manila, the Metro Manila Development Authority has introduced not really farming but vertical gardening. Small hanging pots lined up in a row and suspended vertically along the byways - underpasses or overpasses, certainly beefs up the otherwise drab vista of the city. It is now getting popular for people living in apartments and condo. So appropriate for homes with no space and no ground to plant. But with vertical farming? I don't see it as realistic because vegetables have their own idiosyncrasies. In South Korea it became a popular way of raising salad vegetables like lettuce or cabbages because those veggies can grow on containers. I don't think It would work for fruits that grows in large trees but it would work berries. They can also combine this technology with aquaphonics. A system were plants and fresh water edible fishes will be raised together. Because of the state of the economy, and the high prices of food, many people are now raising a garden who have never done so before. Even city-dwellers who live in an apartment can at least supplement their food supply by growing some of their own veggies. Vertical gardens (on a small scale) are perfect for people with not much room, or only one area where they get enough sunlight to grow food. We have many of our tomatoes, cucumbers, beans, and green peppers all growing in planter pots. If necessary, I can move them around so they get enough sun, because we have a lot of trees in our yard. The part of it that does get sunshine was graveled in as a driveway area, and it is impossible to dig there. I have not done it yet; but i have two of the pallets that you can get for free at many stores, and I intend to make vertical planters from those. I can stand them up along the fence where they will get the sunshine, and can grow there even if we can't dig in the gravel. Here is a webpage that shows you how to make a vertical pallet garden. These would easily work, even on an apartment balcony , or outside deck if that is all of the room that you have. Last edited by Tumbleweed; 06-08-2015, 09:17 PM. Vertical farming could help in food shortage and I do believe in that. Vertical Farming not only reduce the space being used but it also produce a high quality of vegetables. Though in terms of farming, regular farmers could not establish or do vertical farming because it would be high in expense to them for materials being used would be expensive. If the government could help every farmer start this, then this could increase the economy of a certain country. It can also reduce air pollution on cities because the plants can produce oxygen. I believe vertical farms should be built in cities with no more space for farms. It is also a great opportunity for city people to get fresh harvested vegetables direct from the farm without going to a far province. I've seen used before. At the very bottom there would be tilapia ponds. It would be a big hydroponic set up. Water gets pumped up to the top tray and they trickle down to watering all of the plants on the way down then eventually aerating the pond at the bottom. I love how the artificial ecosystem works with the aquaphonic set up. The fish poop gives fertilizers to the plants , while the plants cleans the water for the fishes. It is a very practical way of farming. It really hits 3 birds with one stone. You get fresh vegetables, fresh fish and you conserved some water. This system may actually work during droughts. This doesn't look very cost effective for most people and areas. The ideas I like are building a vertical garden going up a fence or the side of the house in order to maximize the space you have. Anything being grown vertically is going to have to be successful with partial shade. Most food plants will be severely stunted if they do but have truly full sun. It would work well for countries like Singapore and American states like New York. There is now a growing trend of Urban farming and this technology would be the trailblazer for it. Aside from Vertical farms, some people are now creating vertical forests, so concrete cities can still have trees and bird sanctuaries. 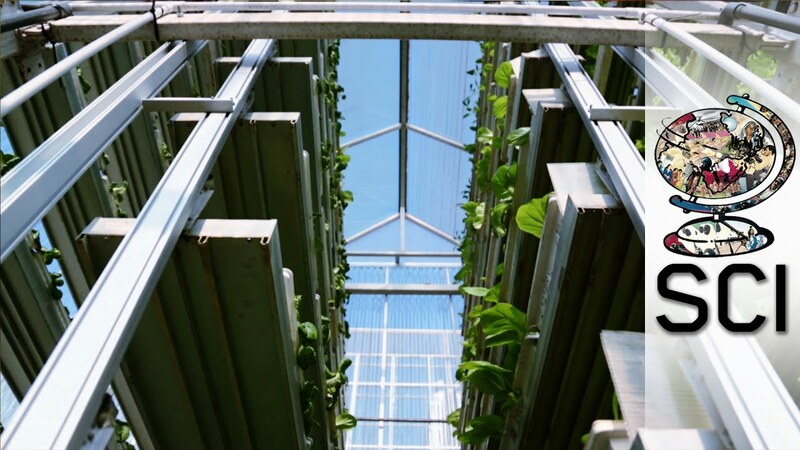 Vertical farming is an interesting technology, but I don't think addresses famine as a issue. My understanding is that famine is caused by local rather than global food shortages. A simple example is how much corn in the US is used for ethanol instead of actually feeding people? Or simply how much food does the average first world family throw away? Discussions about food distribution run into a couple of hurdles. One is that there are areas where lack of infrastructure, or local corruption, prohibit food getting to the people who need it, even when it is available. That's unfortunate, and I have no idea how to address it. The other side though is that often discussions about redistributing surplus food get mired in selfish economic concerns. If you dump a bunch of resources freely in the market, then prices plummet. This one I think could easily be addressed if people cared enough to pressure their governments to do so. Overall, why not look for simple solutions before trying to develop complex technologies? This reminds me of the days when our first lady Imelda Marcos launched the so called Green Revolution. City dwellers were exhorted to plant vegetables on any land that is available, whether vacant lots or even sidewalks that are not concrete. It was meant to counter the burgeoning cost of food because gasoline was so expensive that time and transport of farm produce added much to the cost. The program was quite successful and I hope it can be revived. Imagine the decrease of air pollution if that became trendy again. I am the only one with a vegetable garden on my city. My neighbors seemed to have a thing about the useless Bermuda grass. The only vegetables I buy in the grocery are the veggies that don't grow in tropical environments. Someday I want a house with a bigger backyard so I will be able to plant more vegetables. Back no the topic, Italy is now building a vertical forest. So cities will have more trees. I just did a search on the fastest growing vegetable out there that will be ready for harvest in 30 days. If you were to implement these in your vertical gardening then I think it would be worth it. Turn over ratio is important here. Space is limited and time is another big factor. In India, people are becoming more and more concerned about the quality of what they eat. The main reason behind this is the growing number of cancer patients in the country. This has a direct linkage to the intensity of pesticides being used in crops. But what we can see here is that people who are having very limited land to cultivate are switching to terrace cultivation. You can see a lot of houses with terrace cultivation for poison free fruits and vegetables. Vertical farming on the other hand is yet to become popular here. But it s already started and it can become a big success in a country like India where density of population is very high and there is a high shortage of space. When compared to traditional farming, vertical farming offers a lot of advantages like requirement of less space, water and fertilizer. I think this will become popular here very soon. Last edited by Billy; 08-01-2015, 03:11 PM.